Savannah, GA-based photographer Ashley Jones and Mexico City-based photographer Arturo Soto explore Savannah in their portfolios featured in the November 2013 issue of One: One Thousand, the online magazine of Southern photography. But their Savannah is not the Savannah of the Chamber of Commerce, the Tourism Office, or Southern Living. Its not even the Savannah of Midnight in the Garden of Good and Evil. Much as we celebrate the New South, the urban South, the South of Sunbelt prosperity, Jones and Soto want us to remember that change is costly for some folks, and in the midst of change, some things remain the same. In the New South, what remains the same is that poor people, often also people of color, bear the burden of change. This is true in Savannah as it is true in Atlanta, and Charlotte, and any other Southern city. In Durham, NC, for example, an expressway that linked the city to the interstate highway system and thus to Atlanta and Washington and New York City, was sited so that it runs directly through the historic, and historically African-American, Hayti neighborhood, destroying parts of it and cutting other sections of it off from the rest of the city. Jones and Soto, both of whom studied at the Savannah College of Art and Design, bring this phenomenon home to us in their exceptionally well-seen documentary images of parts of Savannah that have been left behind, hidden beneath the overpasses, untouched by the economic development that has revived the rest of the city. 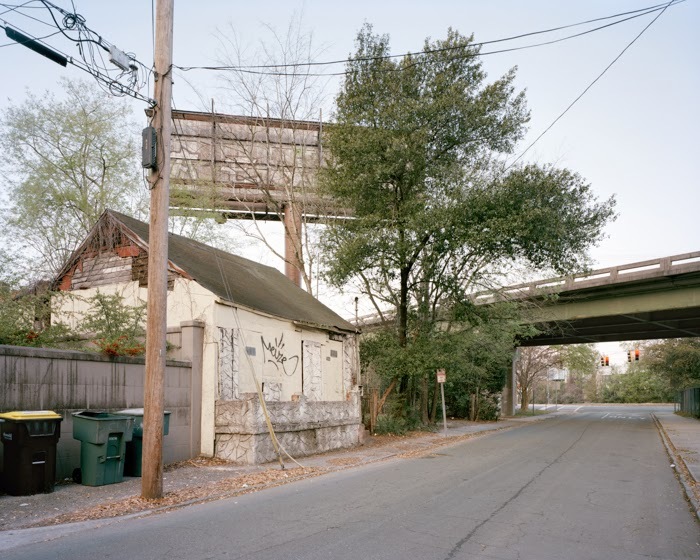 Jones' portfolio Frogtown to Victory explores the effects of interstate highway development on Southern cities. She notes the "stark division between the restored and legally protected buildings within the central National Historic Landmark District" of Savannah "and the struggling, run down neighborhoods that surround it. Her images in this portfolio look especially at the impact of Interstate 16 on the Frogtown neighborhood and its general environment, the "at-risk neighborhoods along Martin Luther King Jr. Boulevard and the ways in which they have been impacted by the construction of the Interstate 16 flyover." In Jones' view, her work is not just about documentation but about restoration, depicting "the current state of this community and the architectural structures that remain" not just "to provide an understanding of the historic and contemporary contexts of this community" but also to support "local movements to renew and revive Martin Luther King Jr. Boulevard and the neighborhoods." Arturo Soto's portfolio All lovely things will have an ending looks at this same phenomenon from a broader and more conceptual perspective. 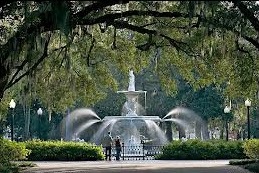 His subject matter is in his view "banal," and deliberately so, since what we otherwise know about Savannah is our images of its "beautiful historic district." Soto is less interested in disturbing us with his images and more interested in alerting us to the contrast between the Savannah of his images and the Savannah of popular depiction. Soto wants us to think about possible links between with "the mythology of the South" and the way in which the appearance of Savannah's "historic district" is maintained and also is portrayed in more typical imagery. His goal is for us to "question the type of imagery that is usually associated with the identity of a picturesque city." After all, part of the"typical image" of Savannah is of a city out of time, creating the illusion that our experience of its evocations of the past places us in a kind of timeless realm. 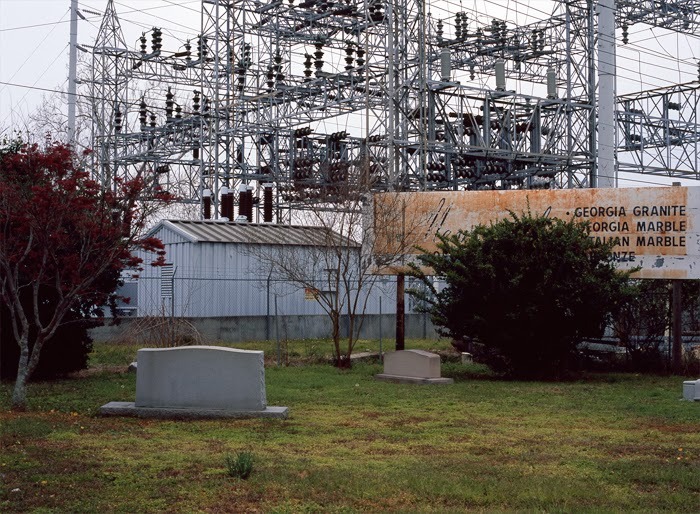 Soto describes his images as "representations of stillness and silence," yet they are dramatically different from images of tourist Savannah, like this one. Rather than evoke an aura of timelessness, Soto's "representations of stillness and silence attempt to depict the entangled cultural structures of a place that is rapidly changing." We're always grateful to the good folks at One One Thousand for bringing us intriguing, challenging, and fresh perspectives on the American South. Keep 'em coming!